Excerpt from Marketing Checklist for Medical and Dental Practices: Download full PDF here. Our clients have a million things requiring their attention these days, from marketing to state requirements and inspections to yes, being a doctor. In an effort to save time and increase reach, we have set out to explain some of the marketing tools out there, why they're valuable, and how to get started. 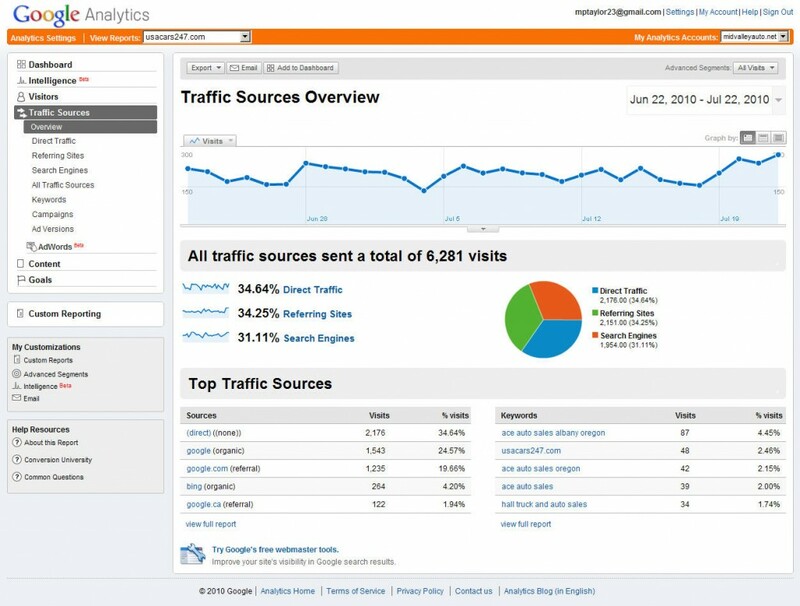 Today, we demystify Google Analytics and offer tips on utilizing the treasure trove of information at your fingertips. 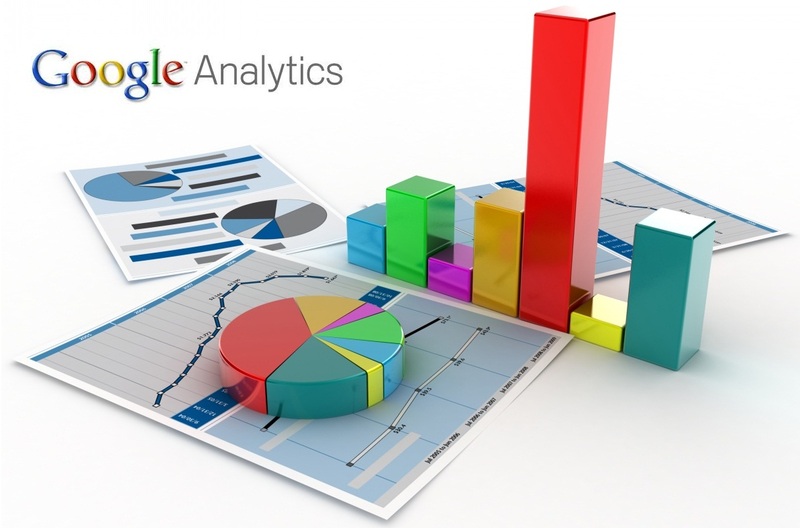 Google Analytics is a free service that gathers information about how many people visit your website, which sites or search engines they came from, where they clicked while on your site, how long they stayed, and more. These factors help you determine where to advertise and evaluate how your site is working. This information powers smarter marketing decisions. Google Analytics provide a window into your audience so you understand who they are and how they interact with you online (visit our post about Knowing Your Customer for more ways to identify your target audience). When you understand the behavior of your audience like where they go on your website, how long are they on each page, what site referred them to you - you can tailor your marketing and increase the odds these visitors become your patients. In the past, small business owners haven’t had easy or affordable access to this type of data, so take advantage and avoid spinning your wheels with ineffective content. 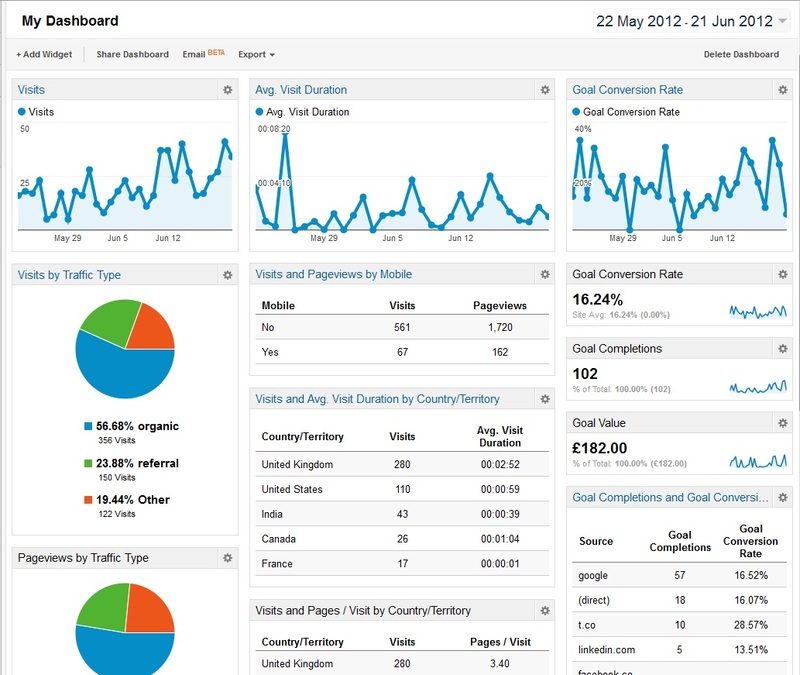 Set up a Google Analytics account or use an existing account. To avoid accidental overlap of business and personal content or any other activities you conduct with your current Google account, sometimes it’s easiest to establish a devoted gmail account for this purpose. Once logged in, visit Google Analytics where you will be guided through the process of setting up your account with the various features you need. If you have a vendor who is managing your website, your search engine optimization, or your pay-per-click ads, simply request to add Google Analytics setup and regular reporting to your services. You likely already have an account so it’s just a matter of requesting the data. It’s worth spending some time with Google Analytics and exploring the endless amount of topics for analysis and numbers associated with your site. This data dump can be overwhelming so we’ve trimmed the analysis possibilities and recommend you review the key evaluators listed below on a monthly basis. Over time, compare these statistics to 1) the previous period and 2) the previous year. We also suggest adding a goal to track how well your site is converting ("Goal Conversion Rate"). Each page on your site which contains a form the visitor completes to contact you should result in a “thank you” page. Tracking visits that ultimately land on the thank you page provides an informative snapshot of conversions. Clients who regularly track the metrics above will see patterns around visitors, their interests, who is driving them to your site and who is ultimately converting visitors into patients. It will help you understand the dollars you spend on referring sites and the value it truly brings to your marketing strategy. Feedback on your site's usage gives you more insight into your customers, which helps you decide how to adjust the structure and content. Doctors typically find, for example, that before and after photos and prices are the most popular pages on their sites. 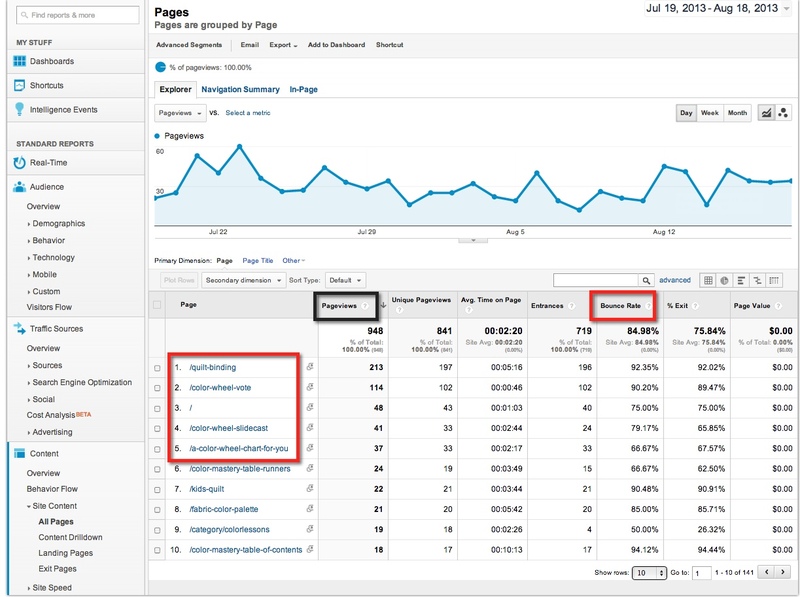 As you learn what pulls visitors in and keeps them, refine your site for even better results.